In my last year of university, I enrolled in a seminar, the subject of which was the work of esteemed film director Alfred Hitchcock. Sitting among self-proclaimed film buffs, all I had for reference was that famous profile sketch of the director, which filled the TV screen before each episode of Alfred Hitchcock Presents, and that infamous shower scene in that movie I would later learn was Psycho. While week after week, our instructor discussed poignant scenes from various Hitchcock films, uncovered the Macguffins, identified phallic symbols, and talked about plot, I had half an ear on the lecture, instead captivated by the radiance of the actors, whose ensembles jumped off the screen in their striking beauty and elegance. Not knowing much about Hitchcock, I assumed such great styling and costume design was simply a product of the times. Well, it so turns out that Hitchcock not only had a talent for suspense. He also had a flair for style. Most, if not all of Hitchcock’s films testify to his keen fascination with style, and his body of work has left an indelible mark on fashion, so much so that iconic scenes from his films have been recreated time and time again in editorial spreads, while countless glossies have featured style advice on how to dress à la classic couture of Hitchcock films. 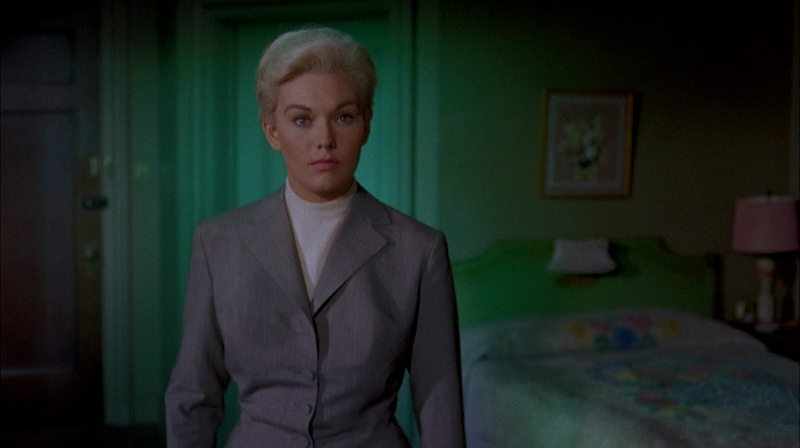 But none of his pictures do his eye for sartorial elegance justice like Rear Window (1954). 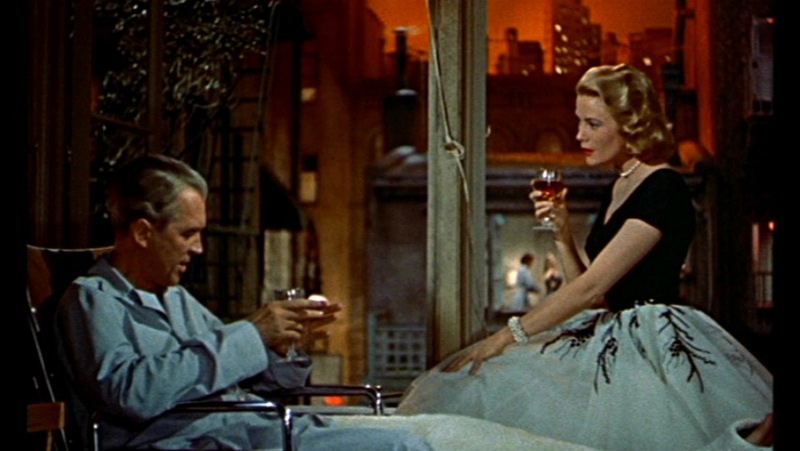 In Rear Window, Grace Kelly glides across the screen in impeccably combed hair, a perfectly waist-defining pleated chiffon skirt, and an exquisite set of pearls adorning her porcelain neck, while James Stewart—and we—look on in awe. This scene is just one of the few enduring and most memorable sartorial moments brought to the big screen by a film director whose acute sensitivity to style and discriminating taste have significantly influenced fashion. The Hitchcock seminar now far behind me, I’ve since schooled myself on the father of suspense, and have not only enjoyed the dénouement of such Hitchcock classics as Rear Window, Vertigo, and Shadow of a Doubt (1943), but also relished the timeless chic which swept across the screen in each film. Which film(s) do you believe have influenced fashion? ← Manners: A Prerequisite of Style? 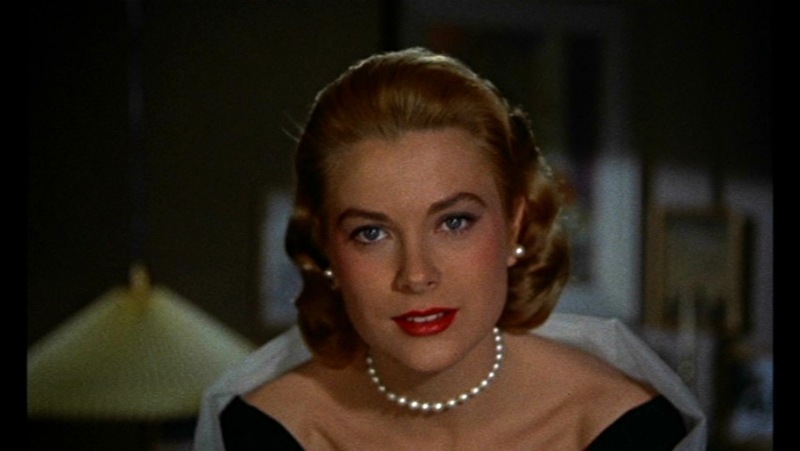 Grace Kelly is darling and the connotations of women as unobtainable embodiments of glamour is positively idyllic, contrasting nicely with the ‘thriller’ genre. Lovely post! Palm Beach Story. Claudette Colbert leaves her struggling husband with only the clothes on her back…but she gets some new clothes. Best opening titles EVER. The Women. Couture Catfight with a fashion show in the middle of it. anything with Audrey Hepburn in it. or Kate for that matter. nice post. Hitchcock is the deal.